Rafa Nadal is seeded #1. He will face Daniel Gimeno-Traver in the first round. Rafa is 2-0 in their H2H, with both matches playing on clay. 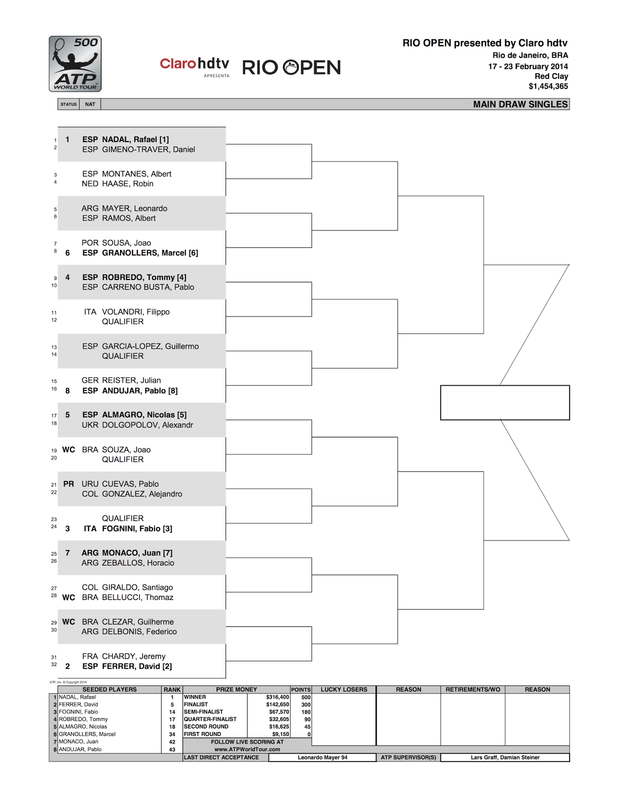 The other seeded players in Rafa's half are Marchel Granollers, Tommy Robredo and Pablo Andujar. Vamos Rafa! Click Draw for bigger view!